I was travelling from Nov 11 until December 26th last year. 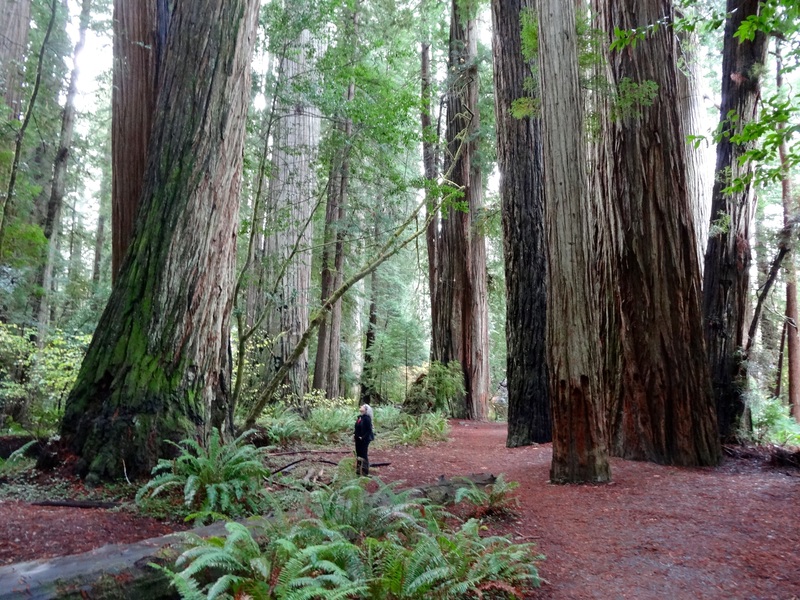 My husband and I visited family in Jasper, AB, Revelstoke, Vancouver, Vernon, BC and Portland Oregon, USA, and we drove to Northern California to see the Redwood trees. 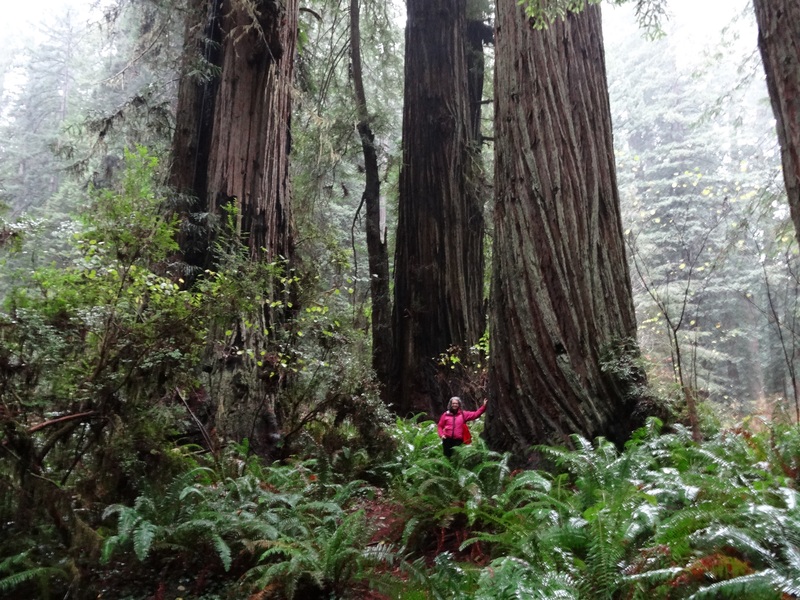 I felt very small and insignificant among these giants, and very fortunate to be able to stand among them. I had my drawing stuff with me but it was difficult making time for art on this trip, the main focus was visiting family. 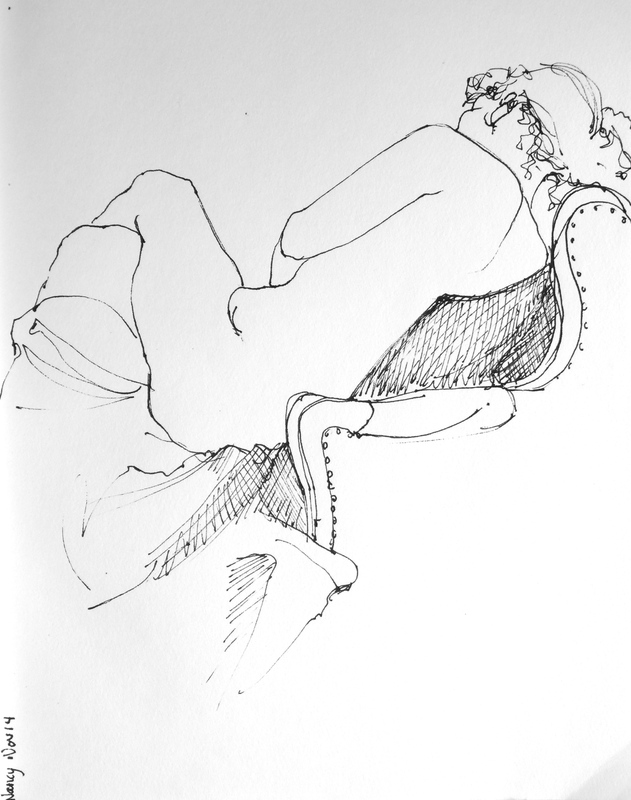 I did manage to attend a life drawing session in Portland at Hipbone Studio, hipbonestudio.com, which is a great life drawing studio. Jeff, the director, replied promptly to my email inquiries and welcomed me to the studio when I arrived. I will definitely try to attend a few more sessions the next time I am in Portland. Here are a some drawings from that session. I am still playing around with water colour and pencil gestures, some are more successful than others but they are fun and help me loosen up. 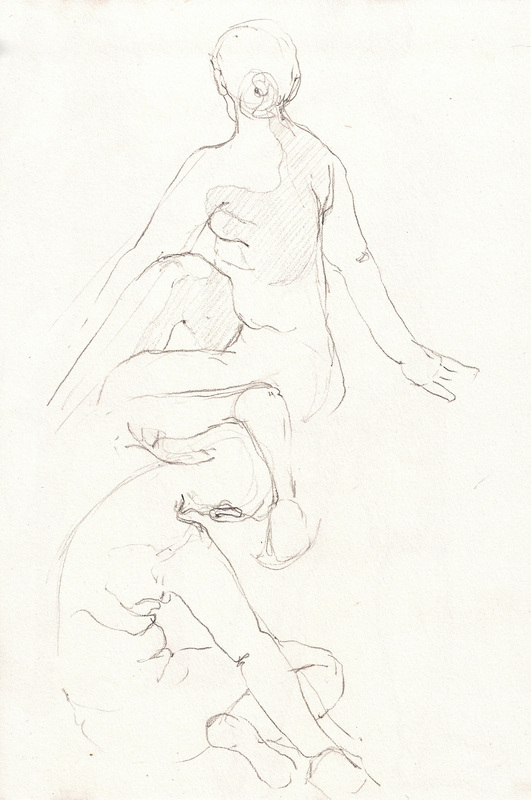 These were two minute poses, so one minute for the watercolour and one minute for the drawing. 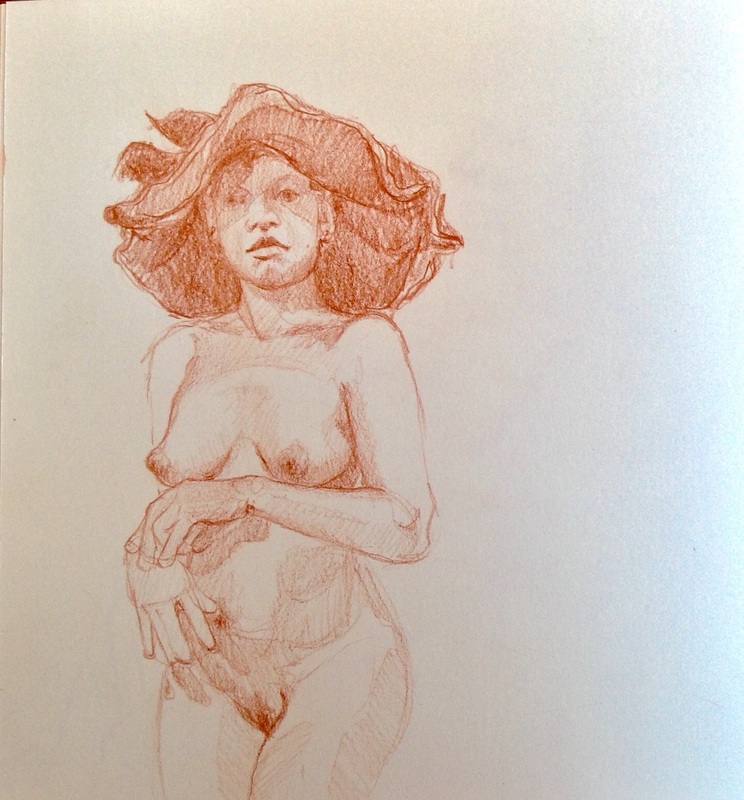 The drawing below was a 30 minute pose. 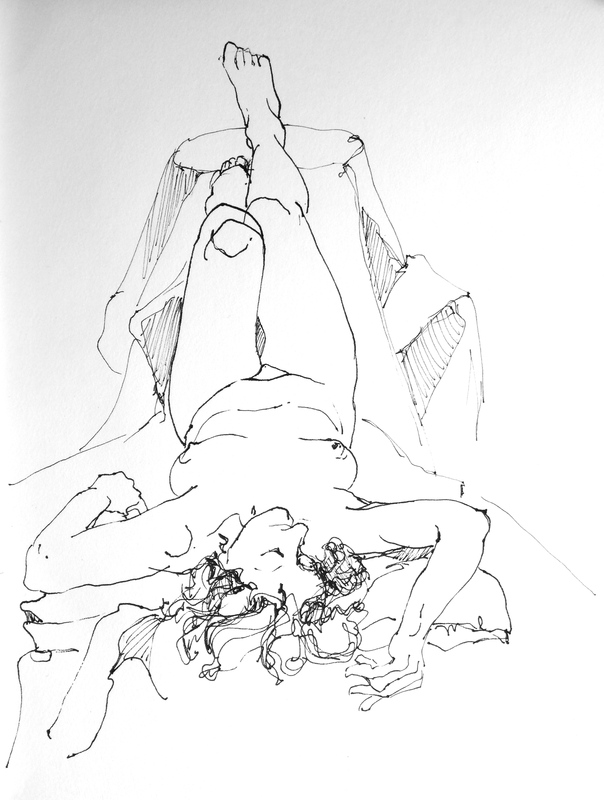 We spent a week in Seattle and I was able to attend life drawing there as well. The internet is an invaluable tool for locating these sessions in a new city. I really don’t know how I would have found them otherwise. Even with internet assistance it is still a challenge finding classes that fit our holiday schedule and aren’t too far from where we are. I do think that it is definitely worth the effort though. I tried to attend a session Saturday morning but after getting up very early, and walking forty minutes to get to the gallery I was met with a note on the door that the session was cancelled. That was very disappointing, but I came back the next morning, as the organizer for that day had replied to my email inquiry, confirming that there was indeed a session and that I would be welcome to attend. It was held in the basement of at a the Art/Not Terminal Gallery and was a great facility, with lots of room, lights, and easels. http://www.meetup.com/SeattleFigureDrawing/events/219784514/ Some of the regulars made a point of coming over to say hello which was really nice. There were a lot of very good artists here, and I saw some really interesting work. Unfortunately my drawings weren’t all that great. I struggled with proportion with most of the poses. Funny how some days it is just harder than others. This is about the best of the bunch. And my New Year’s Challenge? Well, so far I have managed to draw every day. I did miss a couple days, but I did double the next day so I think that counts. I am attending Monday life drawing at Harcourt House and I have found two very useful resources on the internet. 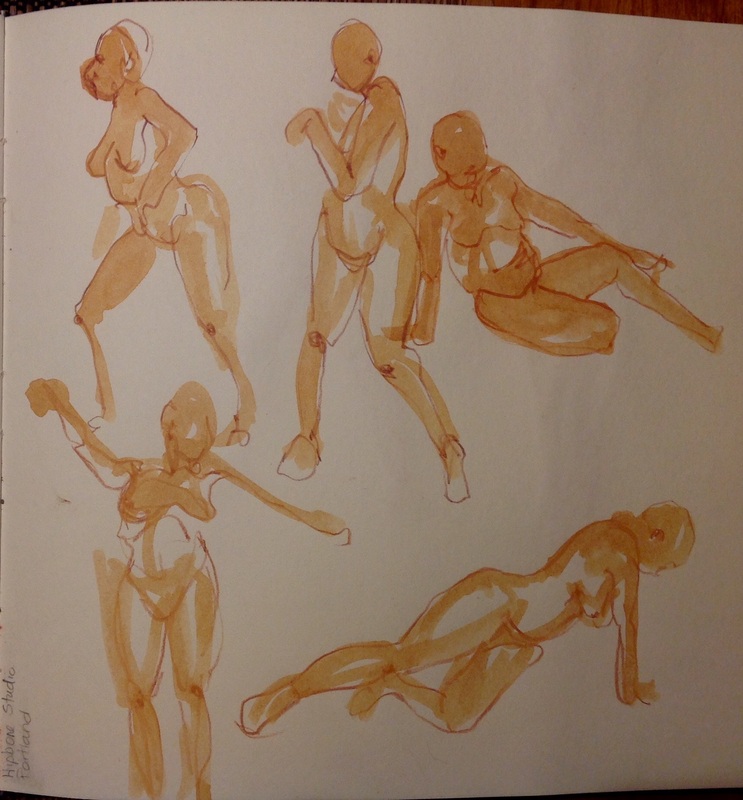 The Croquis Cafe, http://www.onairvideo.com/croquis-cafe.html and New Masters Academy, http://www.newmastersacademy.org/ both offer free online life drawing sessions. 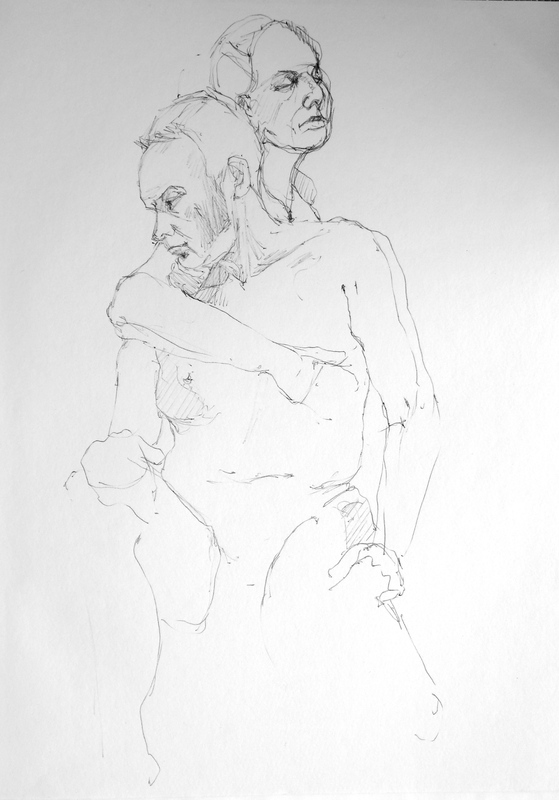 Check them out if you want a great life drawing resource. It is not quite the same as having a live model but it is almost as good. I bought a little gizmo that hooks my Ipad up to the TV so the images are quite large and it is easy to draw from them..